If I have diabetes can I drink or not? Is consuming alcohol with diabetes dangerous or not? 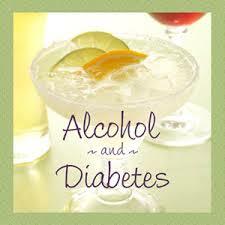 Diabetics should be cautious about drinking alcohol because alcohol can create serious compilations in diabetics. In the beginning the alcohol take over the alcohol and hence disturb the overall balance of blood sugar level. 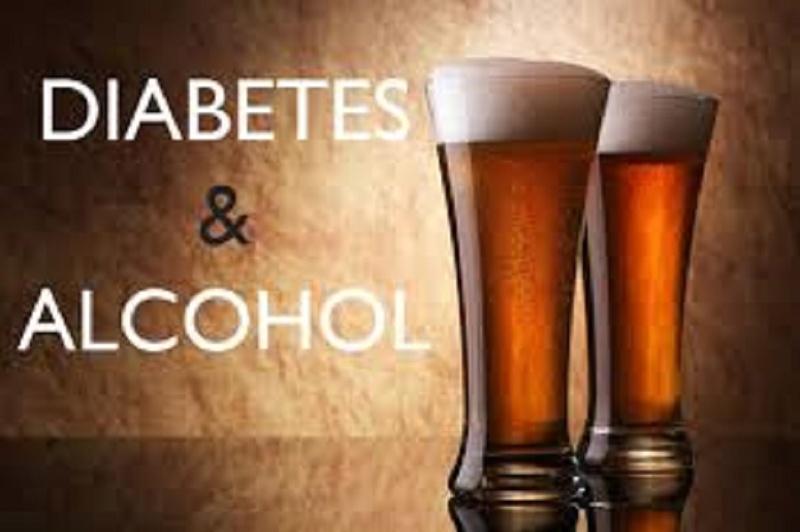 Additionally alcohol also interact with the prescribed medications for diabetes. Even in case of mild drinking consult with your doctor so that he or she can decide which medicines should be given to you and which must be banned? Interaction of Alcohol with diabetes medications. The alcohol can cause rise or fall of your blood sugar level depending on the amount of alcohol drinking. Some medicines also lower the blood sugar level by stimulating the pancreas for increases insulin production. If we combine the lowering of blood sugar level which is reduced by the medications along with alcohol can lead to insulin shock known as hypoglycemia which is a severe medical emergency. Alcohol hinders your liver from performing its job. When you in take alcohol then liver needs to remove it from blood and unable to perform its activity in order to regulate the blood sugar level. So it is advisable not to drink whenever your blood sugar level is below normal. Avoid drinking alcohol with an empty stomach. The food which you in take slows down the absorption of alcohol in to your blood stream. It is advisable that eat meal or snack which contains carbohydrates after drinking alcohol. Before having an alcoholic beverage always test blood sugar level. Alcohol directly attack your liver so always be sure about your glucose number before taking alcoholic beverages. Hypoglycemia can be caused by alcohol. After few minutes of alcohol consumption or within 12 hours your blood glucose level cause to drop. After having a drink make sure that your blood glucose level is normal or safe or not you can easily do this by making check and balance of your blood glucose level. In case if your blood sugar level is below 100 mg/dL then take a meal or some snack. Slow drinking can save your life. If you take 150 pounds then it almost take 2 hours for your liver to completely breakdown the consumed alcoholic beverage. Too much alcohol consumption can cause you to feel irritated, sleepy, dizzy and disoriented. These are the symptoms which are also elated with hypoglycemia. Always wear a bracelet which indicate that you are diabetic so that whenever you symptoms starts appearing the nearby people get awareness that these symptoms are just due to hypoglycemia. If you are suffering with hypoglycemia then always take the tablets or food along with you so that you can take it in time of need to raise your blood glucose level. If you know your limit then you can save your life. The healthcare advisor can tell you the safe limits for you to drink. It all depend on your health condition because in some cases you need to avoid the alcohol completely. 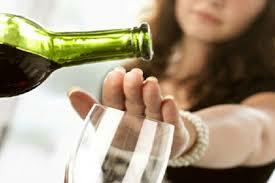 In some women the one alcoholic beverage in a day is limit for their alcohol consumption. Men may have maximum of two alcoholic beverages in a day. If you are having diabetes then alcohol may raise your blood glucose level. This is just because alcohol has got lot of calories. Drink only if your blood glucose level is normal or controlled well under normal conditions. In case if you are following your calorie controlled meal plan then one drink may count twice. Always have checked by your doctor to find out that whether drinking is safe for you or not. 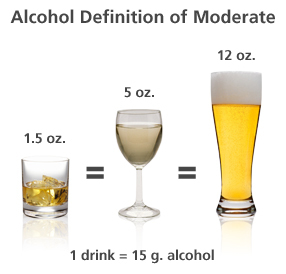 The moderate alcohol dink can raise your blood sugar level while excess alcohol severely decrease your blood sugar level and may drop it to dangerous level. The normal beer and vine are enriched with carbohydrates and can raise the blood glucose level. The alcohol increase the appetite and hence cause you to eat more and hence control your blood sugar level. The alcohol affect your judgment and in turn you may choose wrong choices of food. 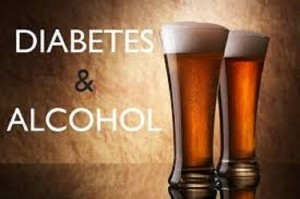 Alcohol can interfere with the diabetes medicines and also with insulin. Alcohol is also known to increase the triglyceride level in your body. The blood pressure can be lifted by the alcohol intake. The alcoholics must follow the following guidelines if they have a diabetes. If you are a man then don’t drink more than two drinks in a day and if you are a woman then don t exceed than a single drink. Always drink food while eating avoid it with an empty stomach. Drink slowly or in breaks. Always avoid sugar drinks such as wines or like cordials. Always take it in a mixture form such as club soda, water or with soft drinks. In case of diabetes always wear a bracelet which indicate that you have a diabetes. You don’t need to give up alcohol completely just because you are a diabetic. It is known that alcohol has some pronounced effects on diabetes but you can enjoy the alcohol along with some precautions and preventive measures. The alcohol substitutes are also available for those who are abstain. In some sever cases the glass of vine can be counted as two and a glass of beer can be counted as three units, it all depends on your physical conditions. People suffering with diabetes can drink alcohol and choice depends on you that whether to drink alcohol or not or how much alcohol you can consume within safe limits. Different alcoholic beverages affect you differently. The effects depends largely on the carbohydrate contents in the beverages. The beer can lift your blood sugar level especially in cases when you in take more than a single glass. Vine contain lower sugar content levels and hence have less pronounced effects on your sugar level. The normal spirit like whiskey, rum, vodka don’t have the significant levels of carbohydrates so don’t affect you more and you can take them even if you are diabetics. The important point which should be mention over here is that your sugar level crash can happen mostly during night. The short term effect of alcohol is that it can also control your blood sugar level. 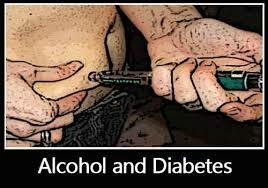 Most of the diabetic patients have reported that their blood sugar level is dropped after consuming alcohol. People who are taking insulin must need awareness about this fact so that they can get out of glycaemia otherwise the consequences will be very sever. Always ask your doctor for help in case if your blood sugar levels falls after drinking. Alcohol contain a lot of calories so if you want to control you weight then always take a look at it and avoid drinking. Alcohol can cause serious effects on you liver, pancreases, heat and even o your skin. The diabetics are more susceptible to organ damage bay alcohol consumption so always avoid alcohol in case of even mild diabetes. It seems quite interesting question people with diabetes always need to be more careful in case of alcohol. The alcohol intake can increases the chances of hypoglycemia. If you have control your diabetes then you can easily enjoy the drink before and after meal but always keep in mind that it is only advisable if you have normal blood glucose level. You can take alcohol along with some precautions it will control your blood sugar level. Drinking a lot of alcohol is always dangerous. But with heavy alcohol consumption a serious case of hypoglycemia can occur. Some stringent organizations can strictly advise some kind of chips or pizza after having a drink. But always keep in mind that the best remedy you can do is to avoid alcohol permanently. Liver is the organ which stores excess glucose in the form of glycogen if this organs become functionless then you cannot enjoy the normal life and your complete balance of blood sugar is disrupted. The alcohol directly affects this organs and hence increase chances of diabetes by hindering its ability to absorb the glucose. This will surely leave high glucose contents in your blood and you will feel dizziness which might lead to death n sever cases. The overall conclusion which we can made from it is that consuming alcohol always dangerous from those individuals who are diabetic and always avoid drinking. The bracelet which indicate that you are diabetic will definitely assist you and aware nearby people so that they can stop you from drinking and don’t offer you a drink. This will impart serious impacts on your life and you will enjoy your life. Yu can get benefit in terms of saving precious organs such as liver and pancreases which have serious role in controlling diabetes and can give you better life.